AV Electrician, a licensed electrical contractor serving the Antelope Valley, Palmdale, Lancaster, CA Quartz Hill and Rosamond. 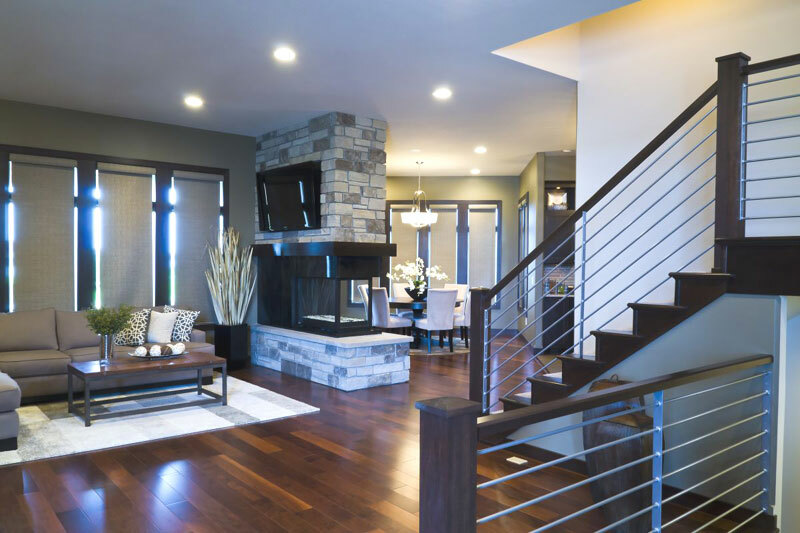 Indoor Residential Lighting Will be Designed to Accent Your Interior with Energy Efficiency. 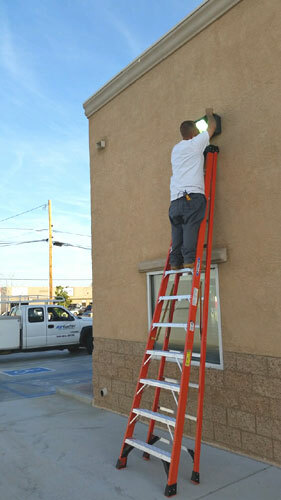 We are The Antelope Valley's licensed electrical contractor for residence, commercial and business. 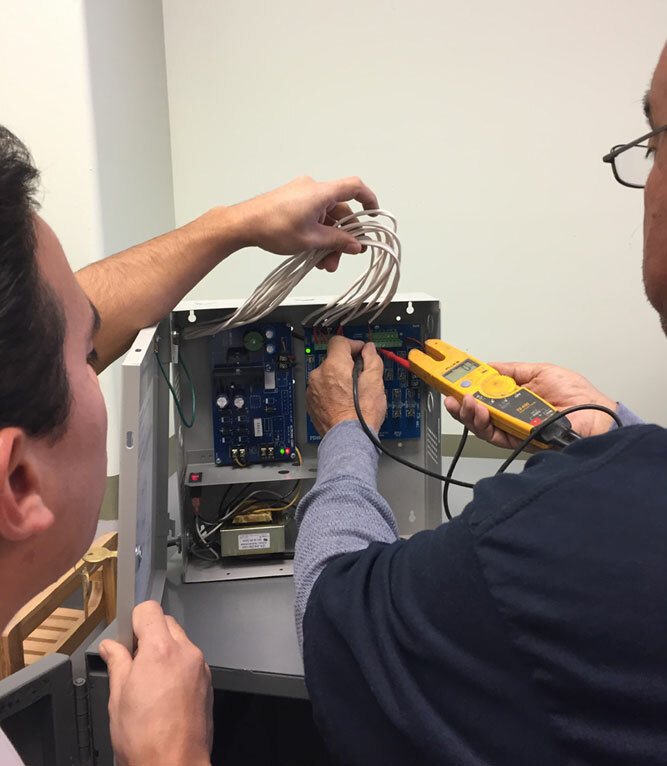 Our local electricians serve Palmdale, Lancaster, CA, Littlerock, Acton, Rosamond and the entire Antelope Valley. 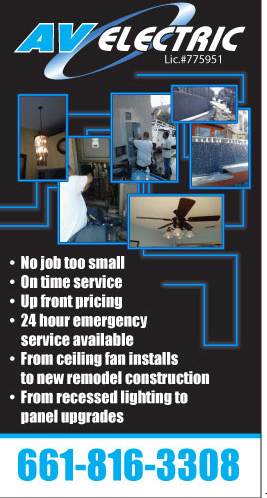 If your home or business is need of electrical repair, in need of a new lighting fixture or ceiling fan installation for your residence, or your business needs major re-wiring, circuit breaker or electrical panel upgrades; The AV Electrician can meet all your needs! 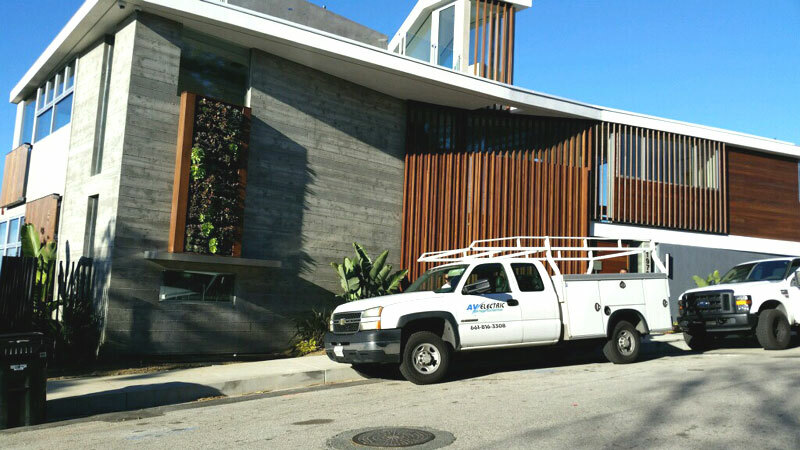 The AV Electrician has over 30 years experience in residential electric service, repair and installation. 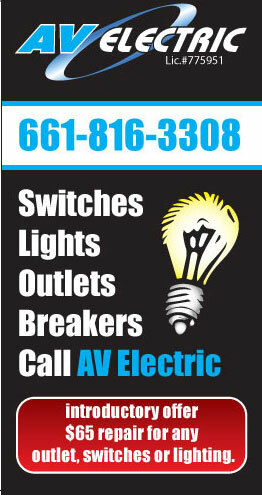 Whether it's in your home or office the AV Electrician is the Valley's trusted expert to call! We specialize in residential electrical repair. We have skilled and trained technicians ready to serve you. We are an Antelope Valley based electrical contractors that can meet your technical commercial or simple residential needs. 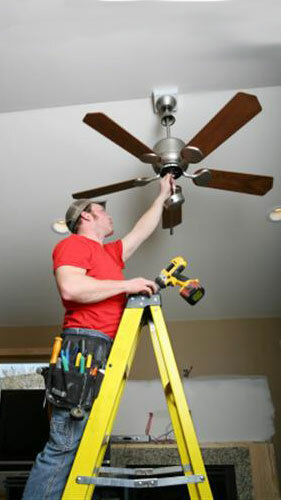 Ceiling fan installation can be installed in approximately 2 hours. Outdoor commercial lighting installation spot lights your business and deters burglaries. • Electrical outlets- we will replace old outdated 2-prong outlets with new 3-prong outlets to meet code requirements • Attic fans Install attic fans including circuit wiring for fans, which will reduce energy consumption by removing all the hot air from attic and keep your home cooler with less demand on your air conditioning. • Appliance circuits Installation of dedicated circuits for new appliances such as washers/dryers, microwave, dishwashers, refrigerators. • Arc- fault breakers We replace regular breakers with code required arc fault breakers. • Electrical panels Replace outdated electrical panels, upgrade electrical meter panels, install new panel with new circuits and breakers. • Ceiling fans We provide installation and assembly services for new ceiling fans, including electrical circuit wiring and rewiring new and remodeling work. • GFCI outlets We provide and install GFCI outlets in your home to comply with NEC codes, bathrooms, kitchen, garage, and exterior outlets. • Metal halide or high pressure sodium security lighting installation and repair. • Whole house fans • Landscape lighting • Security Camera Installations for home & business security systems. Why should we upgrade power panels? If you have added commercial machinery and equipment, appliances- including air conditioning- or swimming pool pumps that can no longer handle the demands of your electrical requirements in your businesses or home then it time to upgrade your electrical power supply. •Business machinery or equipment needs to install a 240 volt circuit. •The need to add a sub-panel. •To meet fire insurance requirements. How do I know I need to upgrade my power panel? If you hear noise such as vibration or cracking from the electrical panel. •Wore out rusted or corroded breakers. •Hot or overheating electrical conductors. •If you’re using numerous extension cords. •Shortage of electrical outlets or non-grounded (two-prong) outlets. •Computer, web servers are not on a dedicated circuit. •Appliances, electronic, esp. air-conditioning units do not operate on full power. 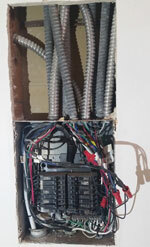 •Replace outdated fuses, replace old and defective breakers. 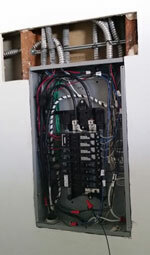 •Installation of electric motors and motor controls, transformers, and disconnects. We replace defective ballasts and HID (high Intensity discharge) lamps (bulbs) for security lighting and commercial signage. We provide Installation of switchgear single and three phase 240volts/480volts. 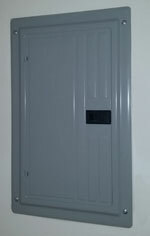 We Install, repair, and upgrade of commercial and Industrial electrical Sub panels. The installation of outdoor lighting for residential or commercial/business applications will have the same functionality, add security, provide well lit pathway and, especially for home, add an ambience to your patio or backyard. With customized outdoor lighting design of photo-sensors, color and a variance of wattage, The AV Electrician will surpass your personalized outdoor lighting needs. Where there is light; there is mood, safety and security. The installation of video surveillance camera for your business or home will save lives, protect property, deter crime and give peace-of-mind. 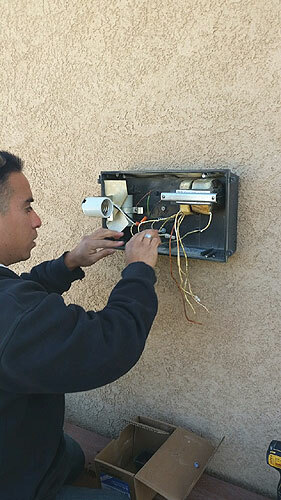 Our Antelope Valley based licensed electricians will design a high-definition security system with auto-record systems prompted by motion detectors. There is nothing more important than security. The AV Electrician would have great satisfaction to keep you, your family and business secure. 1. I'm looking for an electrician in Antelope Valley. I live in "Palmcaster" which is in between Palmdale and Lancaster, California. I'm a senior citizen and can't figure out how to install the florescent light bulbs. Can you help me for a small fee, please? We can help you without a fee. It will take our service staff minutes to attend to your needs. We are community and The AV Electrician can help you free of charge. 2. Why is my bathroom GFI not working? You'll need an electrician to go out and troubleshoot the problem in order for you to know exactly what's going on and what you need to do to fix it sometimes if you replaced the GFI it still might not work give AV electrician a call and will take care of it for you. 3. Is it possible for me to install a ceiling fan in my room even if I don't have an existing light fixture? 4. I'm trying to rent out my house and need to change out all my outlet plugs and switches do you guys do that kind of work? We can definitely change out your outlet plugs and switches for an affordable price and one day installation. 5. I have a broken pool light and a pool pump that does not work do you work on pools and spas? 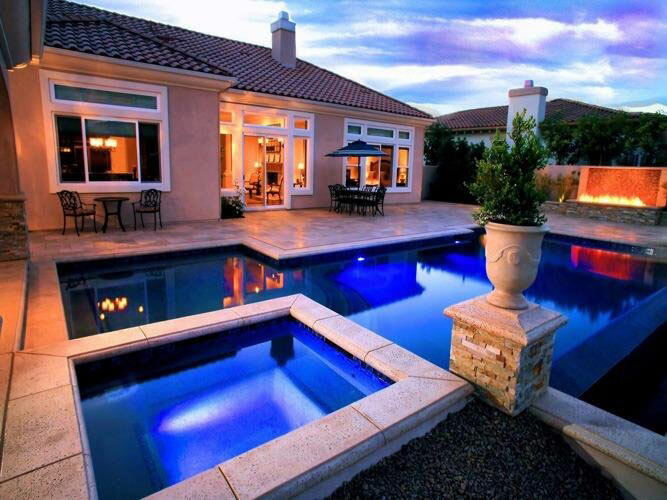 We do electrical work on pool pumps pool heater spa heaters pool lights spotlights and junction boxes also pool panels like Jandy and Hayward. 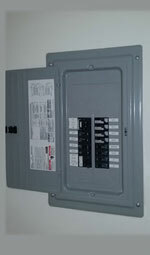 For safety reasons, we may use high voltage switchboard matting if needed, especially if the area is wet. 6: I have a old house with an old panel old Breakers old switches and Old Outlet plugs should I get a panel upgrade? We can go out to your house and give you a free estimate on your panel upgrade give AV electrician a call . 7. I don't have any light in my backyard or my side yard but I would like to put in some security lights is it possible? Yes it's possible we can run conduit through the outside wall or if you do not want to see any pipe we can do a in wall install. 8. If I wanted to do a post light where my grass area is do you have to rip up my grass? If you're worried about your grass getting ripped up when you do underground conduit don't worry we are very delicate with customers yards we will pull back the grass and put it back nice and neat. 9. I'm trying to install a security system in my house is that something that electricians do? 10. We have a commercial construction project going on in Palmdale, California. Does The AV Electrician bid for such projects? 11. 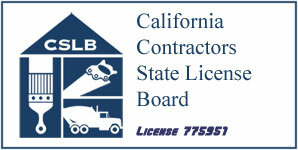 My boss asked me to find an electrical contractor in Lancaster, CA? Do you have a price list for your electrical services? We do not, sorry. Our prices is based on the complexity, amount of time, availability of electrical parts, etc. Our estimated hourly rate is $65.00-$160.00 per hour. Give us a ring and we can give you an estimate over the phone and a final estimate after we visit your home or business. We also have emergency electrical repairs in the Antelope Valley for after hours and on Saturday and Sunday and holidays. 12. We are in need of a electrical commercial contractor who can design, make plans and install exterior lighting systems. Do you have a sample set of electrical exterior light plans to show us. Can AV Electric.com help us? Yes, we can design an outdoor lighting system that will be functional, add security to your business and be energy efficient. Our exterior lighting plans will be designed to meet your aesthetic requirements and budget. Our Licensed Electricians Are Ready to Problem Solve Your Electrical Problems, Upgrade Functional Technology to Your Business or Add Extra Lighting, Ceiling Fans, Electrical Outlets to Your Residence.